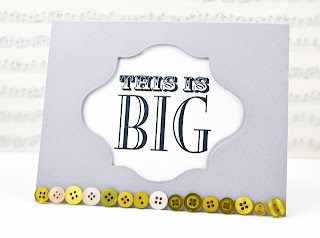 One of my favorite card makers Jennifer Rzasa posted a card on her blog. Here it is below. I thought it would be fun to start a CARD CHAIN and Case Jennifer's card which was based on Laura's card. If ANYONE feels inspired by my lil' ol' card and wants to continue the chain, feel free. Just link back to this post. Let's see how far this will go! If you do, you can enter it in the Case Study Challenge too! 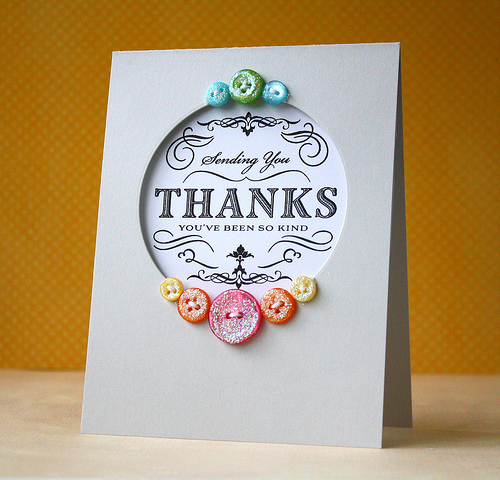 I love what you've done by casing Jennifer who cased Laura! :> Such a fun idea! 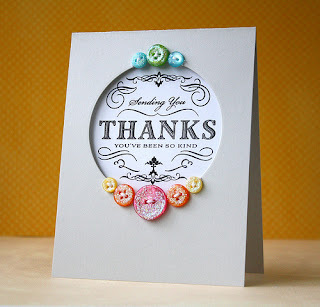 I love your card today, love how you did the twine! I'm voting for you for the Guest DT spot Wida (although, technically my vote doesn't count - LOL). I LOVE your card! Love the buttons and twine and how you reversed the window. Gorgeous!!! Super cute! Crossing my fingers for you on that GDT spot! Beautiful Wida!..I shall try and come up with something to continue the chain! Casadia!? How do you come up with such amazing lil' phrases??? As you know, I'm flattered you CASEd my card, and yours is just stunning! 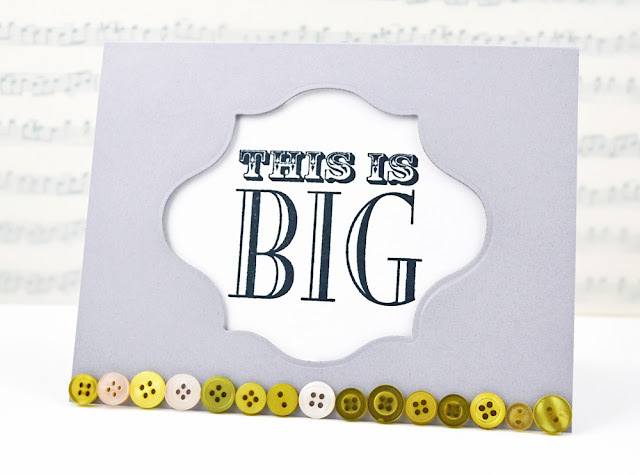 I can see that you, Laura, and myself all have die cuts, fancy sentiments with more than one font, and buttons. And elegance. And grey. ....and awesomeness :) I can't wait to see if someone CASEs yours! 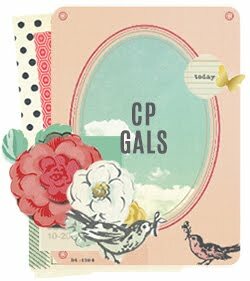 What a great idea, and a great inspiration card! 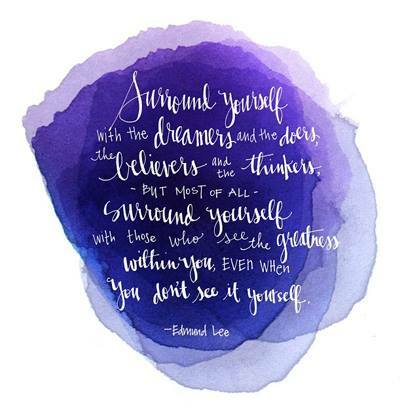 It's inspired me to case yours - this could go on and on! Casadia made me laugh right out loud, Wida! 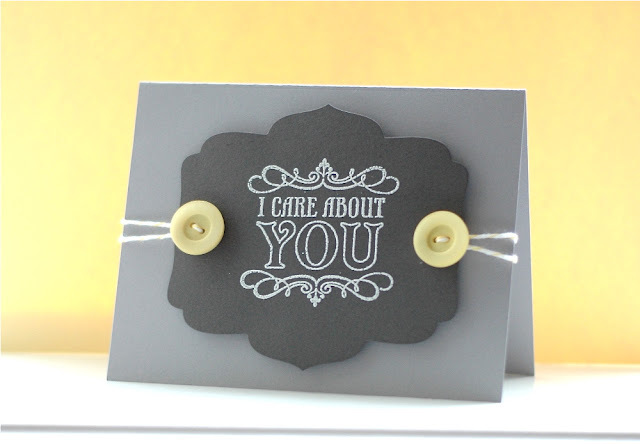 Love that :) I absolutely love the idea of a CASE chain - too fun :) Love the sentiment on your card too! Awesome CASE of a CASE and I might just have to play in this card chain (you know you used my favorite colors right). Then it would be a CASE of a CASE of a CASE...haha!!! Canadian brilliance! Love the big buttons. I meant Casadia not Canadian, haha! It's rolling along nicely! Just been looking at the other cases, it's great to see how everyone adds and takes away and makes it their own.